A missing teenage girl leads LA corporate HR exec-turned-private eye Chuck Restic to a high profile fight over a new art museum and a forty-year-old murder that won't stay in the past. Anyone could be behind the teenager's disappearance: her fitness-obsessed mom, switchblade-toting chauffeur, personal life coach, or even the girl herself. This is the second book in the Chuck Restic mystery series. 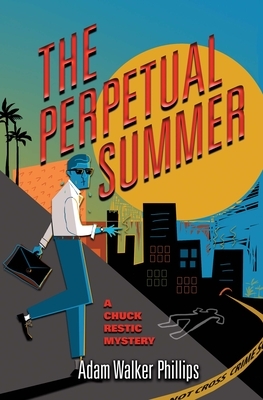 Adam Walker Phillips is a Los Angeles-based executive at a global financial services company who has endured countless PowerPoint decks, offsite visioning sessions, and synergistically minded cross-functional teams, all for the sake of his Chuck Restic mystery series. Phillips holds an MFA in film from Columbia University, and was also the winner of New Line Cinema's development award for his film, Bibles.